Kyiv/Lviv (ICRC) – High-level representatives of seven militaries with recent experience in urban warfare will join their counterparts of the Ukrainian Armed Forces at a conference organized by the International Committee of the Red Cross (ICRC) in Lviv from 25 to 28 September. The conference aims to discuss best practices in protecting civilians and critical infrastructure in the course of combat operations in populated areas. 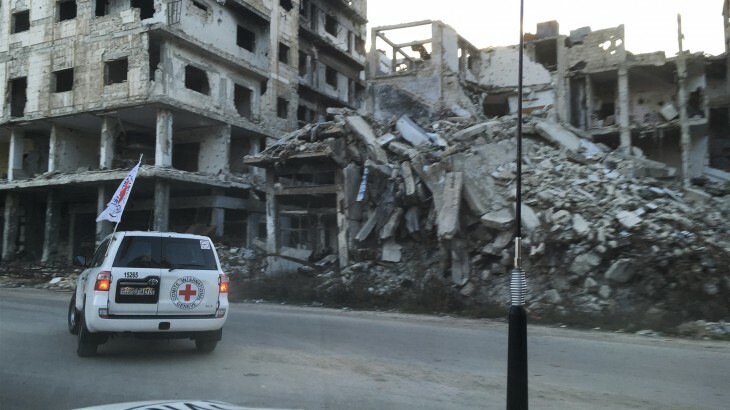 “Waging war in cities means that the lines between civilians and military targets sometimes become blurred,” says Michael Pymble, ICRC’s delegate for relations with armed forces. “The law of armed conflicts or international humanitarian law (IHL) offers protection to civilians and their livelihood, as well as restrictions to the choice of means and methods of warfare. With the conflict in the densely populated eastern Ukraine now in its fifth year, a lot of experience has been accumulated, and raising awareness about the rules of war is as important as ever”, says Mr. Pymble. The four-day conference at the National Ground Forces Academy in Lviv will bring together officers from Afghanistan, Germany, Iraq, Lebanon, Nigeria, the Philippines, the United Kingdom and the host country of Ukraine. The programme will cover topics such as the use of explosive weapons in populated areas, protection of essential infrastructure, and ethics of warfare. Each of the participating militaries will share their own experiences and perspectives on urban combat operations, and the challenges they faced. They will have a chance to interact with and learn from their peers, as well as ICRC experts. A planning exercise will have participants craft solutions, which would then be tested by a simulation system to show the consequences of different courses of action in regard to human cost and the respect of IHL.